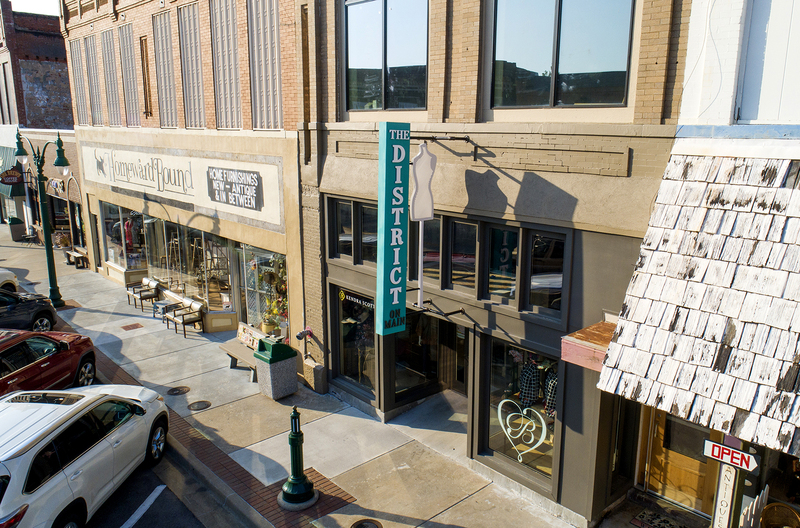 With the success of the Façade Grant Program offered by Claremore Main Street, the nonprofit organization announces an expanded program, including five new grants. Grant opportunities include Awning Grant, Lighting & Signage Grant, Windows & Doors Grant, Paint Grant and a Storefront Grant. Each grant offers a dollar-for-dollar match, essentially doubling the applicant’s dollars not to exceed $1,000 payout. The program has quarterly deadlines for building owners to apply when it is most convenient for them. The next deadline is Sept. 30. “We know that building improvements can be expensive, so we’re happy to be able to help share that cost and reduce the burden for property owners,” Jackson said. While the grants are targeted to property owners in particular, renters are welcome to apply with the property owner’s permission. The Awning Grant is for repair, replacement or addition of awnings. The Lighting and Signage Grant is for repair, replacement or additions for exterior lighting as well as for signage. The Window and Door Grant offsets the cost for window or door repair and replacement as well as transom repair and replacement. The Paint Grant is available for exterior painting, with the exclusion of painting unpainted brick, as well as murals or public art desired on the property. The Storefront Grant includes masonry or mortar joint repair, replacement or repair of architectural details, removal of non-historic materials and other improvements. Applications must be completed in full, including a detailed description of the project, bids or quotes and photos, and be turned in by the deadline. Projects must be completed within six months of the award notification. To be considered, applicants must be within the Claremore Main Street Boundaries, which extend from Lynn Riggs Boulevard to Chickasaw Avenue and from 4th Street to Patti Page Boulevard. Applications will be given priority if they prove high visual impact, historic or architectural integrity, lasting improvements and are on an active street front or include a public entrance. The Façade Grant Program began in April of 2017. The inaugural recipient was Carol Thibodeau, owner of Rhapsody Boutique & Spa, 318 W. Will Rogers Blvd., for a new awning on the building’s storefront. Last fall, Claremore Main Street awarded a grant to the Rogers County Historical Society for help paying for the repairing, caulking, re-glazing and painting windows and trim at the Belvidere Mansion. In August, Kevin Fortna, CPA, was awarded two grants – one for the front and one for the rear of his building at 512 W. Will Rogers Blvd. Those projects are expected to be completed in the fall. In addition to the five new grants with the Façade Grant Program, Claremore Main Street also offers a Beautification & Improvement Grant, which is for smaller beautification projects such as planters, outdoor décor, holiday decorations or window displays. The B&I Grants have monthly deadlines and are worth $75.
. Applications can be downloaded here.